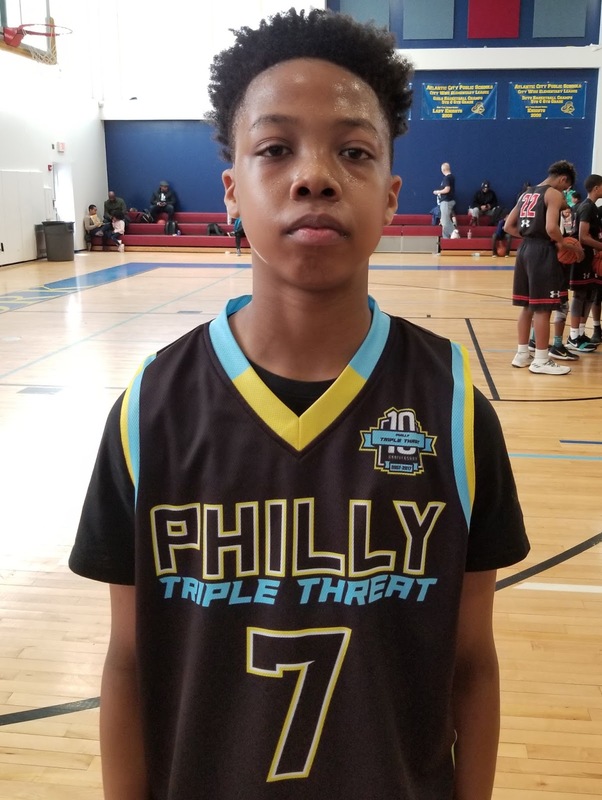 The 8th Grade Division at the Basketball Spotlight Atlantic City Showcase featured some of the top talent in the region. Here’s Part 2 of our Top Performers. 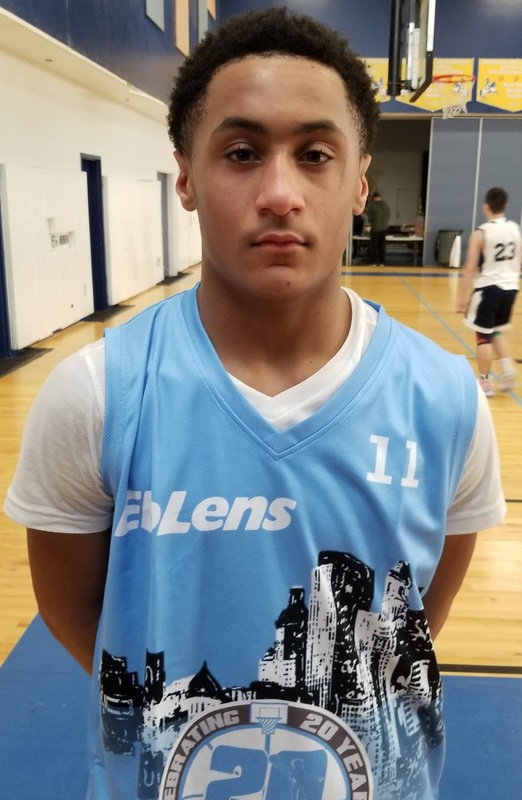 Darren Tuck Forward (Team IZOD) – When I saw Tuck I immediately said to myself this kid has to be good. 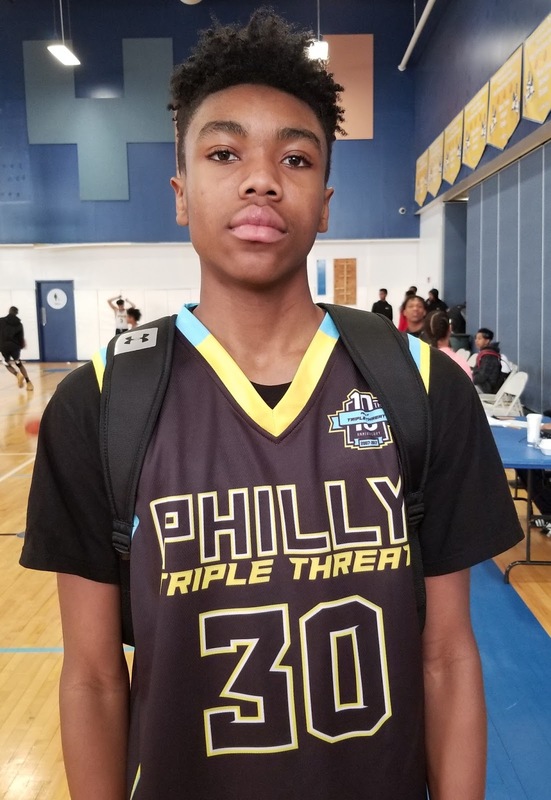 He looks like a prototypical wing with nice length and he has the ability to be effective on both ends of the floor. When speaking to his coach he said that Darren just came back to the team and he is working himself back in the rotation. He also mentioned that he has a nice jump shot. 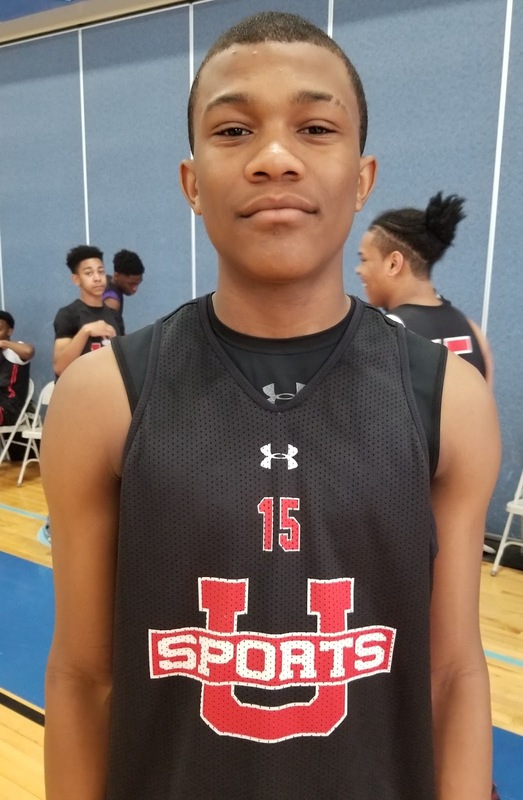 Jadin Collins Guard (Team IZOD) – Collins is a nice PG with good athleticism. He plays tough on both ends of the floor. He has active hands on the defensive end and we saw him pick the opposing PG at the top of the key and went the other way for an And 1 finish. It is always important if your PG can make free throws and Jadin can knock his down. He finished with 12 points in the game we watched. Roleeke Smith Forward (Team IZOD) – Smith is an undersized power forward that is very effective because he plays to his strengths. 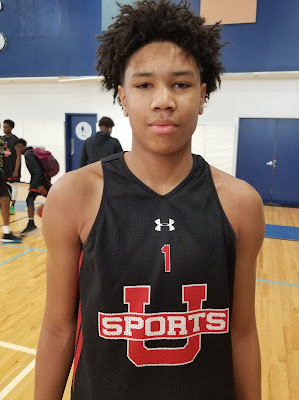 He plays hard, finishes around the basket using his wide body to carve out space in the paint. You will also see him grab the rebound and push the rock leading the break. He finished with 12 point in the game we saw. 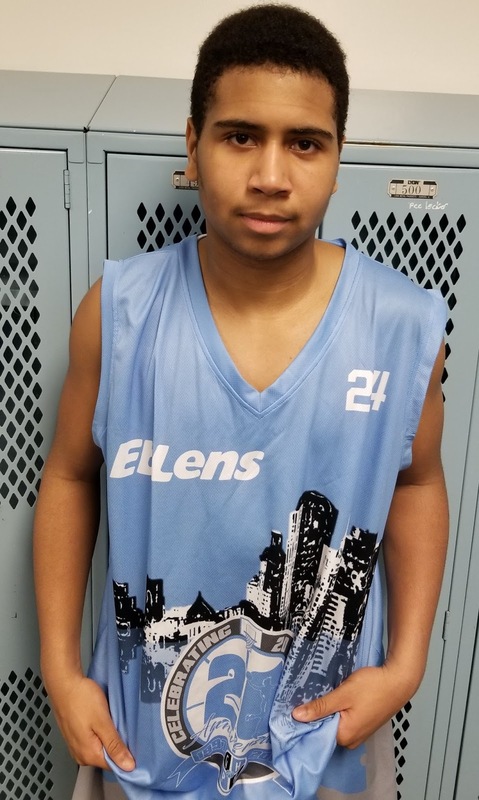 Elijah Flournoy Forward (Team IZOD) – Elijah is a strong body wing forward that brought a cheer from the crowd when he had a steal and a dunk at the other end. He can overpower his defender and his strength is attacking the rim. We also believe he can be an effective defender and rebounder. 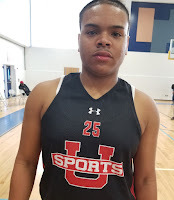 Jaylen Hernandez Guard (Hoop Wave Elite) – Jaylen was the best jump shooter on his team. He could stretch the floor knocking down the long ball plus he has a nice mid-range jumper. He also showed he could knock down his free throws. He finished with 13 points in the game we watched. C.J. 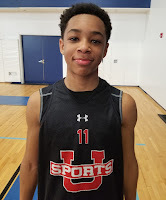 Wilson Guard (Hoop Wave Elite) – Wilson is a pure point guard that has elite handles and court vision. This strong body guard loves to pass the rock. We saw him make many different types of passes getting his teammates easy buckets. He was one of few players that we saw that affected the game without scoring. 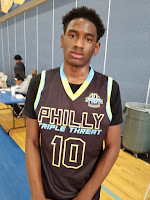 Quadir Brown Forward (Philly Triple Threat) – Brown is a wing forward with some size, strength, and skill. He could score from all three levels and showed he had range out to the three point line. He is at his best going downhill. He rebounds well for his position. Quadir finished with 12 points. 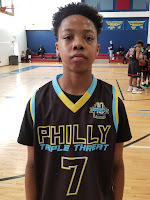 Ife Ingram Guard (Philly Triple Threat) – Ife is a combo guard that can get buckets. His strength is knocking down the long ball. He connected on three long balls in the game we watched. His handles are good where he can navigate around the court freeing himself up for open shots. He finished with 13 points in the game we watched. 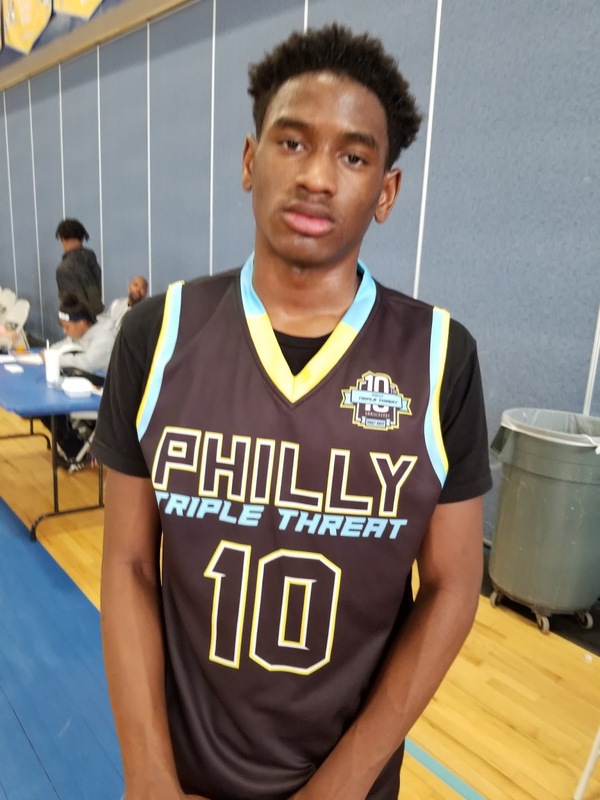 Chad Anglin Forward (Philly Triple Threat) – Anglin is a long forward that looks like he is still growing. Right now he is more a prospect than a finished product but you can see the potential. He has soft hands and a soft touch around the rim. Right now he is more effective on the defensive end rebounding and either blocking or altering shots in the paint.